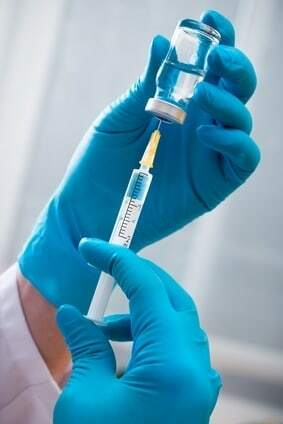 After the discovery that some vaccinations were resulting in injuries and adverse health complications in numerous patients, the Vaccine Injury Compensation Program was established to provide compensation to the victims of vaccine injuries and their families. Since then, over $2.4 billion has been provided to those who have made claims following injuries, but many people never file a claim following an injury due to the lack of public awareness of the program. In addition, the government has been fighting claims recently out of fear that paying claims will result in negative publicity and discourage the public from seeking common vaccinations. If you or a loved one has been injured following a vaccination, you may be entitled to compensation if you meet any of the following criteria. Your injury followed a vaccination and lasted for six months or resulted in the need for emergency medical care or surgery. A loved one died suddenly following the administration of a vaccine. Your claim is filed within two years of a loved one’s sudden passing, three years of an injury or four years if your loved one suffered an injury which ultimately resulted in his or her death. The vaccine is included in the list of Vaccine Injury Compensation Program covered vaccines. These vaccines include the flu shot, measles, polio, HPV, Hepatitis A and Hepatitis B and tetanus shots. To determine whether the vaccine which caused your injury is covered, consult with a qualified vaccine injury attorney. The government does not require you to have legal counsel in order to make a claim against the Vaccine Injury Compensation Program but there are several reasons why having a legal representative is in your best interest. Lack of representation would preclude you from receiving court costs and you may owe money if you lose your case. If you are represented, the government will cover all court costs for you regardless of whether you win your case and receive a claim. Experienced vaccine lawyers are able to perform thorough investigations that will recover information about your case that can sway it in your favor and increase its value. Your lawyer can ensure that you are able to receive the maximum amount of compensation possible by being able to gather and present all of the facts in an effective manner. Your attorney is essentially free. The government not only covers your court costs when making a claim but also pays for the cost of your representation. Since the government is offering to pick up the tab for your attorney, you may as well hire one. The government has made it more difficult recently for people filing claims to receive money. Having an attorney representing your interests and defending your rights can be a great help should the government attempt to delay or deny your claim. The majority of those who are harmed by vaccinations are completely unaware of their rights under the Vaccine Injury Compensation Program and this is primarily due to the government’s concern with the growing segment of the population that is choosing to refuse vaccinations for themselves and their families. Should cases be publicized, it could encourage more people to refuse vaccinations out of fear of adverse effects and medical complications even though those injured by vaccinations only represent a very small portion of those who receive them. If you or a loved one received a vaccination that caused an adverse reaction, injury or death, contact the Rosenfeld Injury Lawyers LLC. Our expert team of vaccine injury lawyers will arrange a free consultation with you to gather the information we need to investigate your case and answer your questions about your rights, the legal process and exactly what you should expect each and every step of the way. If for any reason, you are unable to meet with us at one of our offices, we will be glad to travel to you and we will work hard to ensure that you receive every bit of compensation that you are entitled to under law so that you are able to begin your path to recovery without the need to endure an additional financial burden.